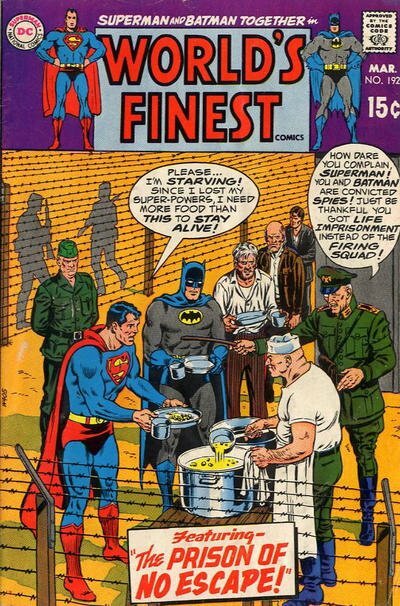 Click Here To See World's Finest Comics #192 Comic Book! 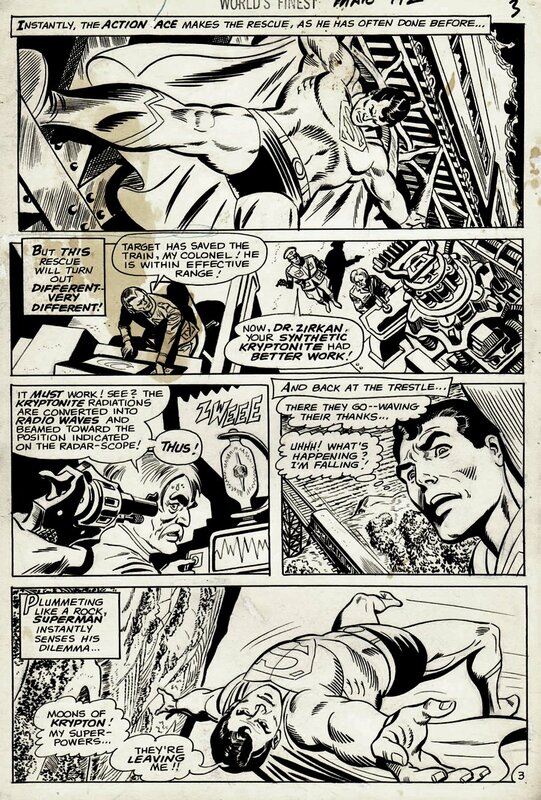 Check out this very nice 1969 SILVER AGE DC page, which was penciled by the great AMAZING SPIDER-MAN team of Ross Andru, and inked by Mike Esposito, from the story titled: "The Prison of No Escape!" This Silver Age Superman page from the iconic Action Comics run features 3 very nice shots of Superman in action as he saves a train and then loses his powers! Superman art of this period is pretty scarce on the market which makes any page with quality images of the hero a pretty desirable item! ******Just look at the COVER to this great story in the red link above, and see how DONALD TRUMP WOULD TREAT SUPERMAN AND BATMAN IF THEY WERE REAL! ******* SILVER AGE DC Super hero pages are VERY hard to find in the hobby these days, so don't miss out on a great opportunity here to own a nice SILVER Age 1969 DC superhero page! ALL art on our website (including this one) are able to be purchased with VERY fair time payments, and trades are always considered towards "ANY" art on our website! Just send us an email to mikeburkey@aol.com and we can try to work something out.